At Parallel49 we solve the complex problems organizations face in the cluttered digital world. Whether it be your online communications, social media presence, mobile applications, kiosk displays or other forms of digital content our expertise helps you communicate your brand by providing insight, strategic direction and execution second to none. We find the personality of your brand and breathe life into it. 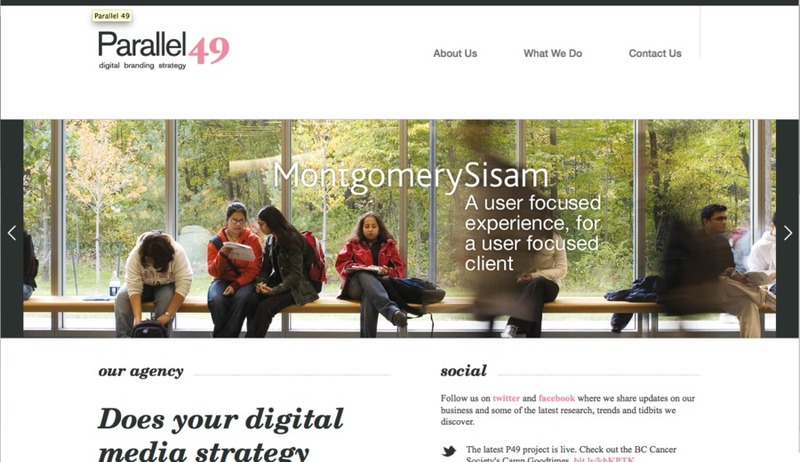 Screenshot from P49's Montgomery Sisam Web redesign.